Because of the protracted war in Sudan that lasted for many decades, social infrastructures are virtually non-existent. One of the most devastated institutions is education. During the war schools were looted and destroyed. 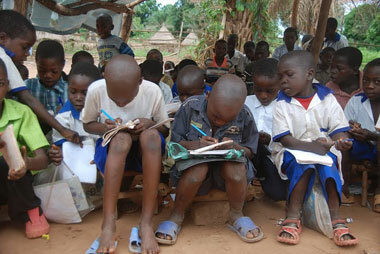 After the peace agreement signed in 2005, life is getting back to normal but there are not enough schools for children. Children across South Sudan gather anywhere to get what they all crave: “education”. 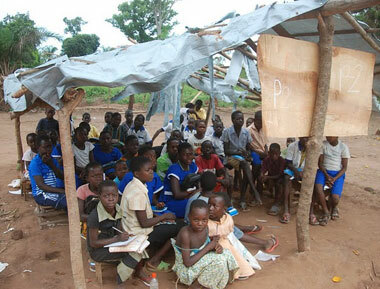 They sit on stones under the trees as makeshift classrooms; they face many difficulties including lack of learning materials and teaching aids. Western Equatoria Community Association (WECA) is working towards educational improvement for the children in Western Equatoria State; every donation for educational resources will make a difference in the life of children in South Sudan. Western Equatoria Community Association (WECA) is a non-profit organization registered in 2008 in the State of Minnesota with membership all over the United States. The members originate from West Equatoria State (WES) of The Republic of South Sudan, which recently voted overwhelmingly, in an internationally supervised Referendum, for independence. South Sudan gained its independence on July 9th, 2011.